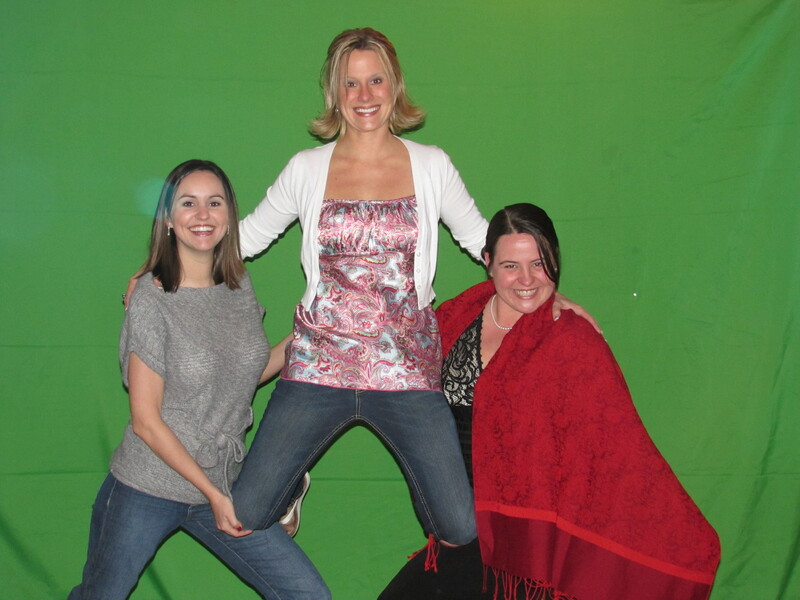 Green Screen, also known as Chroma-Key, is a common technique used in photography and video production to place a subject in front of an alternate background. Pictures or video footage are shot in front of a green backdrop, and in the computer the green is replaced with whatever background you want. It really is that simple! Actually, it doesn’t have to be green; when I first studied the technique in college it was more common to use blue backgrounds, a technique that is as old as talking movies, although much more cumbersome before computers made it easy. Nowadays the computer instantly fills in the background color with the photo image of your choice. Green works better in the digital realm. So a Green Screen photo taken at a party can place you in front of the Eiffel Tower, in Times Square on New Year’s Eve, atop the Great Wall of China, or golfing on the moon. ...becomes a Jamaican scene at a beach themed wedding! Modern computer software has made the technique simple, portable, and affordable. It is becoming a staple at Party Machine events, and guests love it! Every guest can take home a souvenir picture from an exotic locale. The movie “Up In The Air” shows George Clooney’s character carrying a cutout picture of his sister and her fiancé to take pictures in front of the skylines of different cities. Great idea, that could be easily accomplished without ever leaving your computer, through the magic of Chroma-Key. The technique can be used to replace the foreground as well, and numerous party games are built around the concept. It works just as well with moving images. Matt Hammerle was unable attend his brother Tom’s wedding, because he was serving in Iraq. We shot Matt’s toast to Tom and Shalane four months before the wedding, while he was home on leave. There was not a dry eye in the house when it played, but the guests roared with laughter at Shalane’s dance with her father later on. Thanks Matt, for your heartfelt speech, and thanks to “Video Keith” Mathis for his outstanding work. 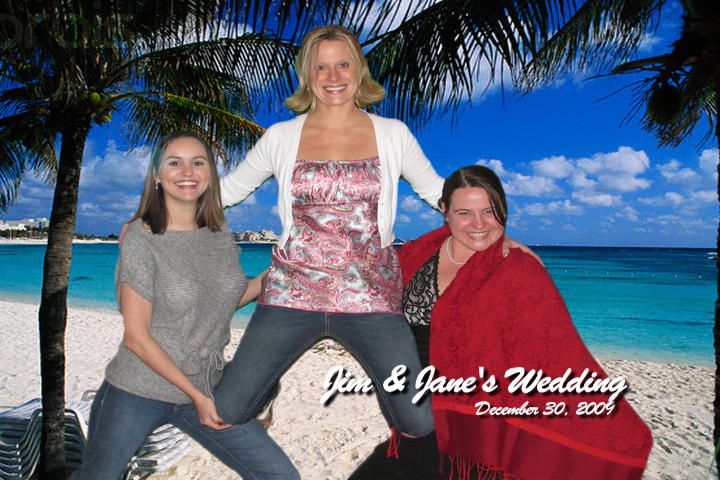 Call us at 817-294-9539 to learn how Green Screen can make your next event a big hit!